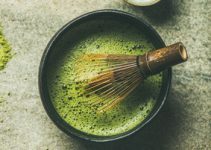 In this post, I explain what you need to prepare delicious oolong tea, and a step-by-step guide on how to make oolong tea perfectly every time. This shows the importance that the Chinese place on the water used to prepare teas such as Oolong tea, a unique blend that originated in China. It is the water which gives life to the process of making tea. Therefore, choosing the right electric kettle to heat your water to the ideal temperature plays an important role in the success of your Oolong tea. If you’ve tried other teas such as white tea, green tea or pu-erh tea then oolong tea should be next on your list. Preparing oolong tea may seem difficult but with the right knowledge and best equipment, you will find it easier to make a cup of oolong tea to suit your tastes. Here we explain more about the individual components of a cup of oolong tea and how they each play a vital role in the tea-making process. The Tea-What is Oolong Tea? As with all true teas, oolong tea comes from the leaves of a shrub called Camellia sinensis. Oolong tea is mainly grown in China and Taiwan, and is also known as wulong, meaning ‘black dragon’. Despite this alternative name, oolong tea is not a type of black tea. In terms of taste, color, and oxidization, oolong tea falls somewhere in between green and black tea. While green tea is not oxidized and black tea is fully oxidized, oolong tea is semi-oxidized. The oxidization of oolong tea varies from 10 percent to 80 percent. Accordingly, less oxidized oolong teas have a lighter color and more oxidized teas have a darker color. There are many varieties of oolong tea which can range in taste from light and fruity flavors to earthy rich blends. If it’s your first time trying oolong tea, choose a variety which appeals to your usual tastes and preferences. The best place to buy oolong tea online is Amazon. They have a wide range of brands were to choose from at reasonable prices. Go take a look! But, before spend your money, you can check out this oolong tea reviews. If you’ve tried oolong tea before, you may want to sample other oolong tea varieties to appreciate the subtle differences in textures and aromas. Although oolong tea is available in bags, loose leaf tea is usually better quality and will provide more flavor. The leaves themselves are always full and can be open, curled, rolled or balled. To ensure your tea is fresh, store it in an airtight container away from strong smells. Many people believe that the water you use to make oolong tea is just as important as the tea itself. And, it cannot be denied that without the right water, tea cannot release its full potential. Once you have chosen a variety of oolong tea to suit your particular tastes, you must ensure that the water you use will successfully bring out the flavors of the tea. Fresh cold water which has not been boiled previously is always preferred. 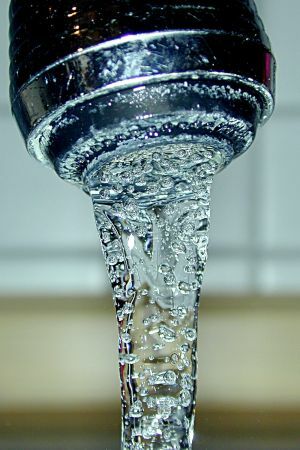 You can use tap water, filtered water or spring water, but avoid distilled water as it tends to taste flat. If you live an area where the water is heavily chlorinated then this will affect the taste of your tea. To avoid the bitter metallic taste that chlorinated water can have, use freshly filtered water to prepare your oolong tea. The ideal temperature for preparing oolong tea is 180°F to 200°F. Since the water and its temperature is such an important component of oolong tea, you need an electric kettle which consistently heats your water to the right temperature. Water which is too hot will destroy the subtle underlying flavors of oolong tea, especially if it is less oxidized. In contrast, water which is not hot enough will fail to release the full extent of an oolong tea which is more oxidized. Guessing when you think the water temperature has reached 180°F to 200°F is unlikely to be accurate. And, placing your hand over steaming water to measure the temperature with a thermometer can be dangerous. The best choice for heating your water to the correct temperature is an electric kettle with a temperature control. This type of kettle allows you to set your desired water temperature accurately and without the need for a thermometer. Although many electric kettles on the market now have temperature controls, our number one recommendation for an electric kettle boasts six temperature settings, ranging from 160°F to 212°F. If you find that you prefer a more specific temperature to make your oolong tea, you can be sure that your electric kettle heats your water to that exact temperature every time. And it’s also extremely useful for heating water to the exact temperature needed for other types of infusions and teas, such as mate and white tea. In addition, it’s important that your electric kettle is easy to clean. A build-up of limescale can affect the taste of your tea so your electric kettle should be cleaned regularly. And, if your electric kettle has a removable filter scale then this will make cleaning even easier. For oolong tea enthusiasts, it is worth investing in a traditional Chinese teapot to prepare your tea in a true Asian style. Oolong tea is typically steeped in either a porcelain gaiwan or a small unglazed Yixing teapot. Gaiwan teapots are fully glazed and can, therefore, be used to prepare any type of tea. However, an un-glazed Yixing teapot will absorb some of the flavors of the tea, so you should have separate teapots for different styles of oolong. Oolong tea can also be steeped in Western-style teapots, so there is no need to purchase any special equipment if you are just starting to experiment with oolong tea. As a general guide, you should steep oolong tea for between 30 seconds and five minutes. While oolong tea prepared in an Asian-style teapot is usually steeped for no more than a minute, tea prepared in Western teapots can be steeped for between three and five minutes. The exact length of time depends on your own personal preferences, as well as the particular oolong tea you are using, and the shape and size of the leaves. open leaves will infuse more quickly than rolled or balled oolong leaves. If you’re not used to preparing oolong tea then you may wish to test it after a minute and then every 30 seconds from there to find the right flavor for you. 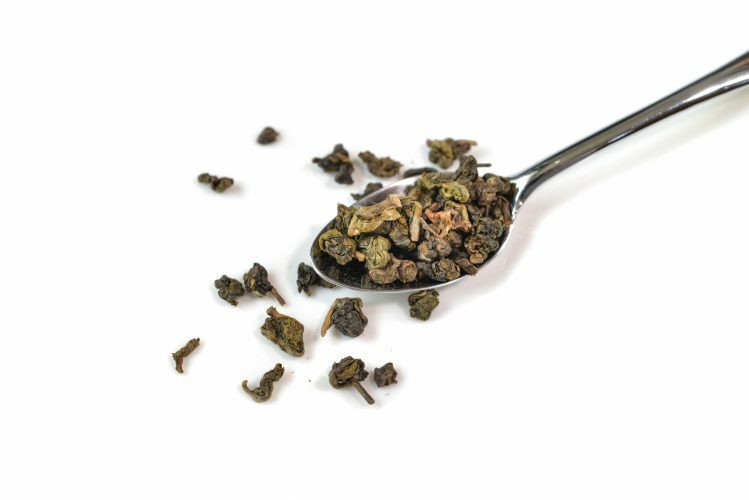 Oolong tea is well suited to re-steeping if you follow the Asian style of preparing oolong tea and steep the leaves for a minimal amount of time. Re-steeping the same leaves several times allows you to discover new flavors in the oolong tea with every infusion. However, if you steep the leaves for longer during the first steeping, any subsequent infusions are unlikely to release much of the flavor of the leaves. Oolong tea leaves need to unfold to release their flavors. For this reason, you should avoid using ball-style infusers as these don’t provide sufficient space for the oolong leaves to unfold. Either a filter made of metal, glass or cloth, or a basket-style infuser works much better. Or, you can place the tea leaves directly in your teapot and strain them as you pour the tea into your cup. Now that you know more about the individual components of preparing oolong tea, you can follow this step-by-step guide which explains how to make the perfect cup of tea to suit your own preferences. Ensure that your electric kettle is empty and clean. Place fresh water in your electric kettle and set the temperature control to heat the water to between 180°F and 200°F. 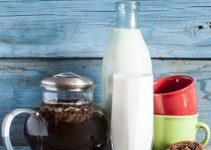 If you do not have a temperature-controlled electric kettle you may prefer to boil the water and then either guess the temperature of the water or check it with a thermometer. It is thought that pre-heating the teapot with a little hot water allows the tea to infuse better as the pot is better prepared to receive the tea and hot water. If you wish to follow this step, simply pour a little water into your teapot and swirl it around to ensure that the interior is heated evenly. When the teapot is warmed throughout, pour the water away. Measure out the oolong tea leaves. If the leaves are flat and open you will need two teaspoons, but if the leaves are rolled into balls then one teaspoon will be enough to make one cup of oolong tea. You can place the leaves directly in your teapot, or use an infuser or filter if you prefer. Traditionally, oolong tea is ‘rinsed’ before it is steeped, meaning that hot water is poured over the leaves and then poured away. To follow this step, pour enough hot water from your electric kettle to cover the leaves in your teapot and immediately discard this water. Oolong enthusiasts believe that this process helps the leaves to open, meaning there is more flavor in the first steeping. Pour the hot water from your electric kettle over the tea leaves. This should be around 6 oz of water per cup of oolong tea. Place the lid on your teapot to keep the heat contained while the tea infuses. Oolong tea is usually steeped for at least 30 seconds, but can be left for up to five minutes. If you prefer stronger-flavored tea you may wish to leave your tea to brew for longer. However, if you are new to oolong tea or are trying out a new variety, you may wish to check the taste sooner to see if it’s to your liking. Set a timer or watch a clock to see when 30 seconds have passed. Pour a little tea into a teacup and check the flavor. Keep checking it at regular intervals of 30 seconds or more until the tea has reached your preferred flavor. When the tea is ready, pour the tea into a teacup through a strainer to remove the leaves, or lift out the infuser from your teapot and pour. If you have left your oolong leaves to steep for a minimal amount of time, as preferred in the Asian style of oolong tea preparation, you can re-steep your tea leaves. To do so, simply heat up more water in your electric kettle to your desired temperature and repeat the process of adding water to your leaves. The amount of times you can use the same leaves depends on the size of your teapot. If your teapot is smaller then you may be able to re-steep your leaves up to five times, but with a larger teapot you will typically only be able to use the same leaves one or two more times. With the right knowledge and equipment, making your perfect cup of oolong tea can be a simple and rewarding process. But, since the water is considered as important as the tea, it’s vital to ensure that you have a good electric kettle to heat up your water efficiently. The Chinese might have the process of making tea down to a fine art, but when it comes to finding the best electric kettle, we’ve got the best advice. Make sure to check out our other articles or contact us for more information about the right kettle for you. 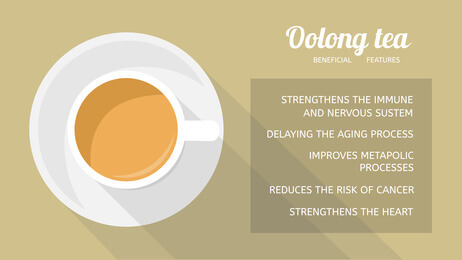 Have you tried oolong tea? What kind? How did you like it? What kettle did you use? Go ahead and leave a comment! I didn’t know oolong tea was somewhere between a green tea and a black tea, or that tea can’t release its full potential in distilled water. My mother has one of these temperature controlled electric tea kettles and it always makes the best tea. She actually just gave me a big can of oolong, do you know how long you can store oolong tea before its no good? The storage period of the oolong tea depends on many factors such as the type of oolong tea, the degree of fermentation and storage method. Stored in cool dry place, odor free and sealed container, the green type oolong tea it goes about 2 months on the shelf to one year if stored in the fridge. Medium roasted can go up to 2 years, and roasted can be stored for 8-10 years even more. What model of temperature controlled electric tea kettle does your mother use? A tea that is midway between green and black ! Would love to try this tea. Quite a process to make it properly though. Never ever thought about the water when making a cup of tea, but what you say makes absolute sense. And the benefits of this “Black Dragon Tea” are wonderful. Just try it. Use an electric kettle with temperature control, and the process will be much easier. I found your article interesting and useful, I am a regular tea drinker but never brewed my own tea before. 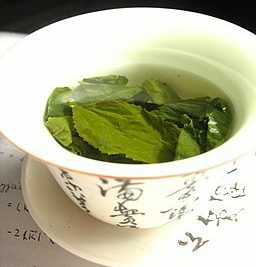 Your article has helped me understand the brewing process, I think I can start brewing my own teas from now on all because of your article. Just follow the steps and you will have the best cup of tea you have ever drink. Let us know how it was. Your article is very informative and thorough. One particular item that caught my attention was the electric kettle with temperature control. Looks like I am absolutely behind the times. Please share with us your way of brewing tea. I’m sure readers will appreciate.